... / Uncategorized / Changed operation of city transport Koper due to event Istrski maraton, 14. 4. 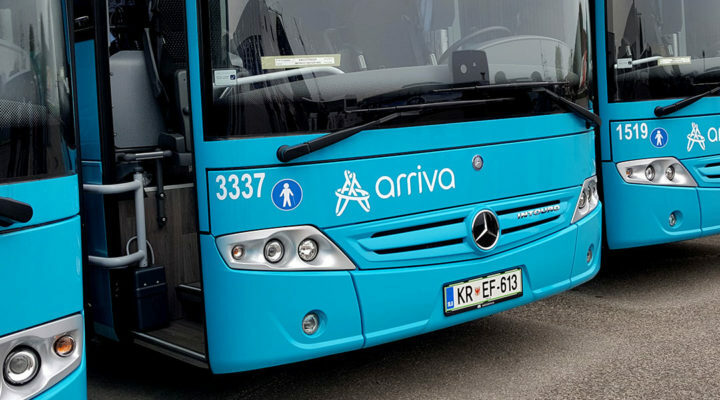 Buses will driver from main bus station AP Koper-Supernova, along Ferrarska, Ljubljanska (with stopping at bus stop Stadion) and continue according the valid timetables towards Šalara, Kampel. At departures from Kampel (Šalara) buses will driver according the valid timetables till bus stop Lesnina, along Ferrarska till bus stoop Luka-Supernova-AP. 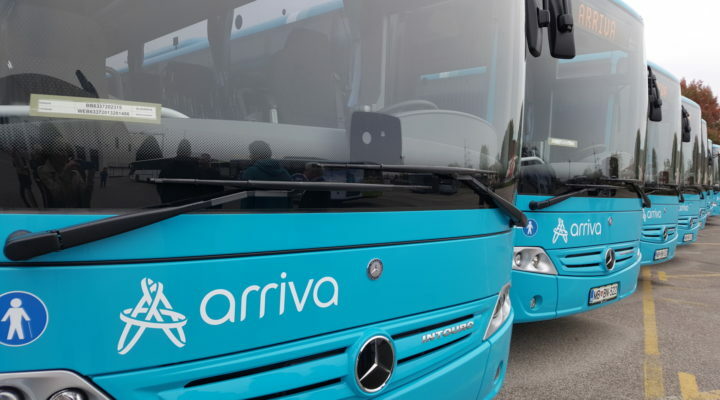 Buses will driver from main bus station AP Koper-Supernova, along Ferrarska, Ljubljanska (with stopping at bus stop Stadion), on the ring (AC) till bus stop Mandrač and continue according the valid timetables towards Markovec-Bolnica. At departures from Bolnica (Markovec) buses will driver till bus stop Pasarela, along road cesta Z.P. Godina and Ferrarska till bus stop Luka-Supernova-AP. buses will drive from passenger terminal along Ferrarska, Ljubljanska (with stopping at bus stop Stadion), along the ring (AC) and road cesta Vena Pilona (with stopping at bus stop Vena Pilona) till bus stop Markovec Center behind the castle Grad (with a circle ride). At departures from Markovec (after the circle ride) buses will driver along road cesta Vena Pilona (stopping at bus stop Nova K), road Z.P. Godina and Ferrarska to passenger terminal. 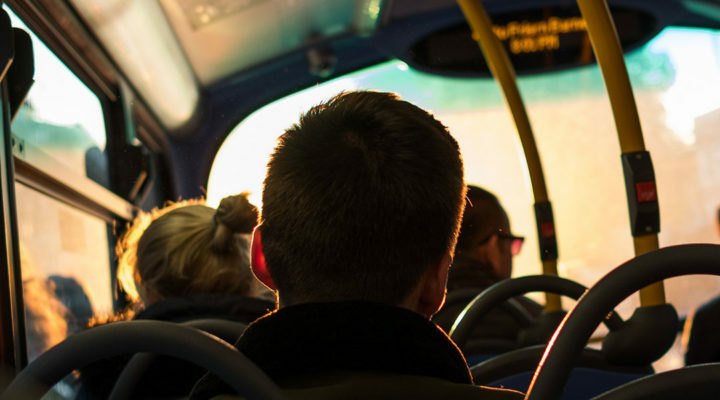 buses will driver from the passenger terminal along Ferrarska, Ljubljanska (with stopping at bus stop Stadion) and along the ring (AC) till bus stop Nova and continue according the valid timetables (Markovec-Rozmanova) till bus stop Nova, along road cesta Z.P. Godina and Ferrarska to passenger terminal. buses will driver from passenger terminal along Ferrarska and Ljubljanska till bus stop Stadion and continue according the valid timetables (Rozmanova-Olmo) till bus stop Lesnina and on Ferrarska to passenger terminal. During the time of the event following bus stops will not be operated: Trg Brolo (will be moved to the plato of the passenger terminal – entrance to Marina) Sv. Ana, Sv. Ana V.n., Kosovelov trg, Banka (both), Zeleni park, Tržnica, Žusterna III, Krožna, Krožna K, Molet and Žusterna (both). Bus tops Passenger terminal will during the closure be moved to the plato of the passenger terminal (entrance to Marina). Additional information is available at phone numbers 662-5105 and 662-5103.